Content marketing and SEO, together has changed the world of digital marketing. If you are wondering why they are often mentioned together, it is because they are interrelated and work exceptionally well together to make your business a grand success. Before we dive into how they coexist we need to know individually about the two things and then only we will be able to relate them. SEO or search engine optimization is a process by increasing the traffic to the website of your business. It helps to get as much visitors as you can which in turn increases the customer base, profit, and revenue. Content marketing, on the other hand, is more focussed on using high quality, valuable as well as relevant content to get action from the client and dr4ive them to your service and product. In other words, to achieve the best optimization for your site, you need to do high-end content marketing. SEO isno0thing without a good content marketing as every single site that we have on the internet needs to have articles which will contain related keywords, anchors, etc. now let us see how search engine optimization and content marketing work hand in hand to make your business a success. One of the critical factors of SEO is researching for the right keywords that will go with the products or services you are trying to market. You find the relevant keywords and use them in your content which in turn will make your website to rank much higher in the search engine results. 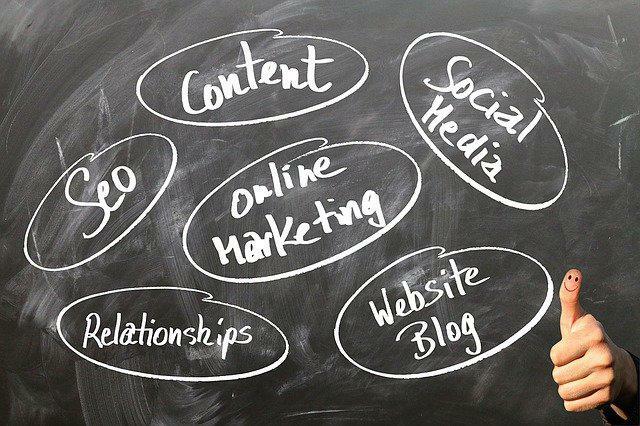 So to do SEO, you need to do content marketing or develop a keyword rich content. You need to follow a strategic approach which can be advised to you by professional digital marketers. However, you should also ensure not to stuff your site with a lot of keywords as that kills the content. SEO as well as content marketing work in balance to achieve the best possible results for your business. For an effective search engine marketing or SEM, you need to hunt for the specific keywords that are associated minutely with the industry or the business that you have. Using Google keyword planner which is a tool for analyzing the most searched keywords on the internet and with AdWords database one can be able to figure out exactly what are the words that you will need to feed into your content. But this is a difficult task and requires experts to analyze correctly so it is always better to hire the SEO services company who will be able to optimize your site in the best possible way. Consistency is the key to both content marketing as well as search engine optimization. If you give out unique, fresh and creative content that is not a rip off from other articles, then your content will get indexed real soon. Original and unique content will rank to a higher position than any repetitive content the already exists on the internet. The contents should be designed in a way to lure most of your clients into the site, and they need to be informative as well as helpful. No one will sit and read a 10-minute long content if it has nothing useful or valuable to convey. So make sure the materials you do for your site are relevant and enriched with the keywords in the right density. This is one of the most important factors by which a website gets ranked on the google search results. You need to brainstorm creative ideas and develop content that is beautiful in every possible way to make the most out of it. So we see content marketing is highly significant and one of the primary things for your SEO. This is why it is often considered to be the foundation for building a huge business. SEO is not only about creating the perfect blog or the article, but there are various other important aspects to it as well. For example, you need to take proper care about optimization of the robot.txt. Not just that you need to use the tags in the appropriate places to enhance the metadata. What makes the webpage more and more appealing is using the right kind of technical optimization so that there are no error coders or broken links on the site. Users and visitors don’t need to deal with a crazy looking website that is not at all user-friendly. If you do not do this, then the search engine will poorly rank the site based on the source codes. The significant aspect of doing the SEO campaign successfully is looking in the intricacies and the technical point of it as well. You can’t publish a rich content and forget all about the technicalities of it. For users to get a straightforward approach to your site, you can start with the sitemap. These way viewers will be able to get a brief idea about what lies ahead for them and will be able to navigate to any part of the site that they wish for. Tags such as the header tags and the title tags help a lot as it is easier for both the users and the search engines to understand what the content is about. The last but not the least is link building or link back which is something that is relevant to Both SEO as well as content marketing. You need to connect the site or domain that you own to various websites which are far more superior and lot more authority like .org or .edu can increase the numbers drastically. You can develop the links with the help of various link building agencies that will leave no stone unturned to ensure you get only the best for your site. And for building link the right way the first and the foremost need again is a stellar content. So in every step of SEO, we see that content marketing as absolutely a necessity. Without content marketing, SEO cannot exist and vice versa. So you must have understood by now ho content marketing and SEO work side by side to provide you the best for your business. Even though Content marketing and SEO are separate departments, both of them need each other to exist. If you want to do content marketing and promote any of the service or product that you have, then it is only going to be successful if you have the right SEO. Without optimization of the content the viewers will not be able to reach the content, and as a result, the entire purpose of content marketing will be a failure. But, if implemented together for your site can produce inflated results for the business. So if you want to have a bright future for your business, you need to implement SEO as well as content marketing together. So what are you waiting for? Contact the professionals today and see how your business goes by leaps and bounds real soon.